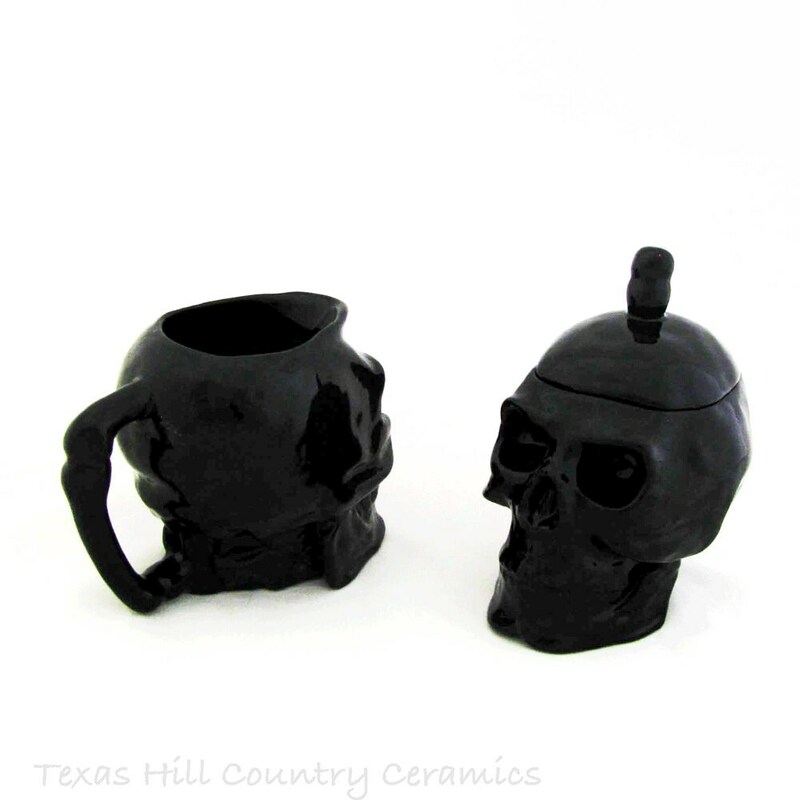 This ceramic skull sugar bowl and cream pitcher set is the best way to add a little creepiness to your kitchen counter or tea party. 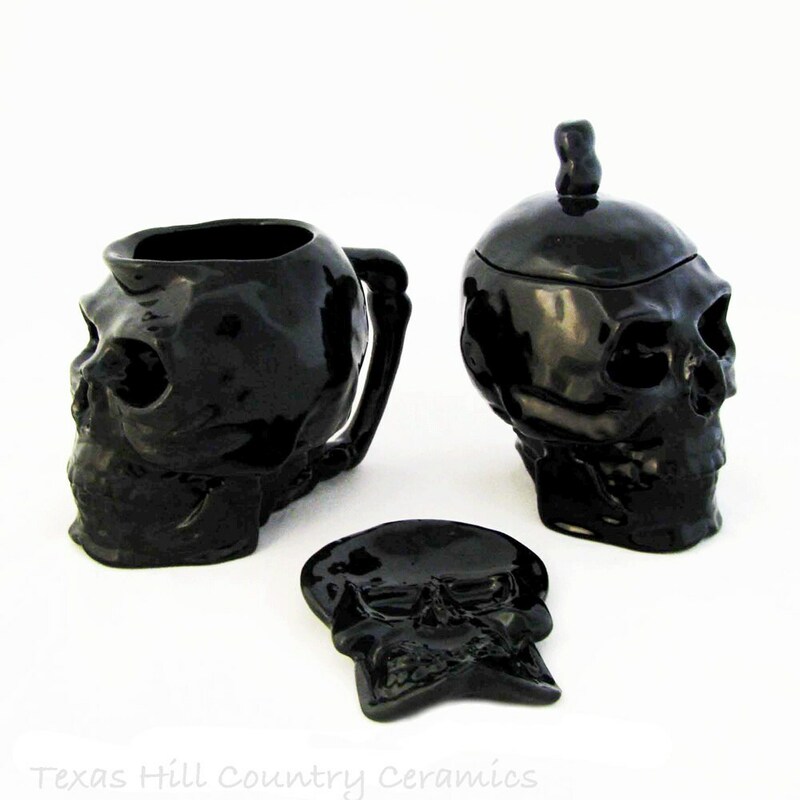 This gloss black creepy skull cream and sugar bowl set is made for fun, what better way to add a special touch to any party or Halloween setting. This set is made to order and will ship upon completion. Please note the make ready time needed. • The black smooth surface has just the right look and touch for that special effect. • The skull is jet black and a perfect piece for a little more creepiness. 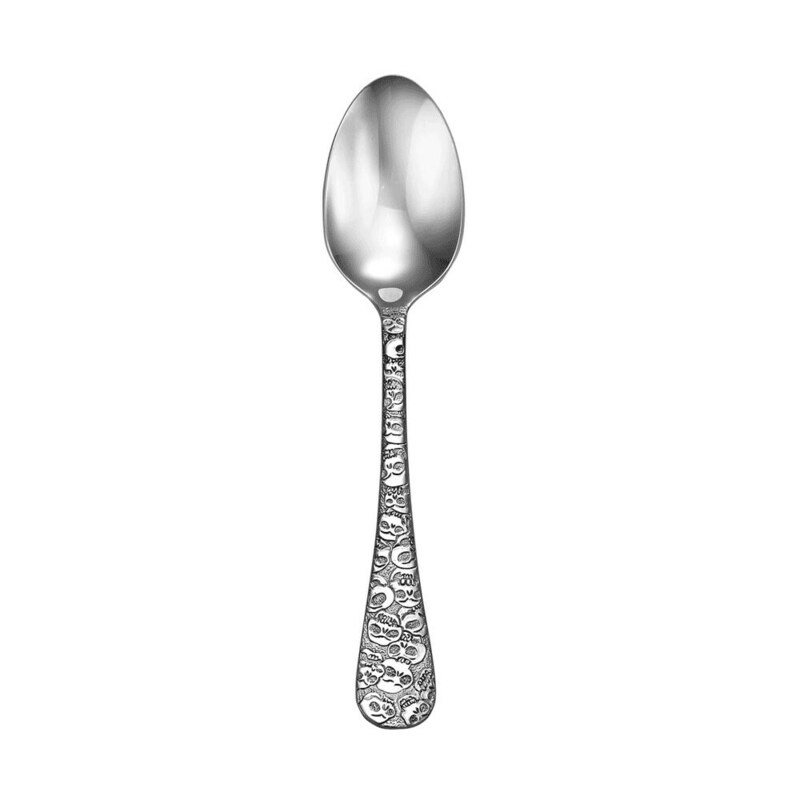 Included with this set is a ceramic black gloss skull spoon rest and a stainless steel spoon with skulls designed on the handle. The ceramic skull spoon rest measures approximately 4 inches x 4 inches. This set of skull ware cream pitcher and sugar bowl set is made of domestic ceramic earthenware, it is slip cast from a ceramic mold and each piece is hand altered before it is kiln fired. 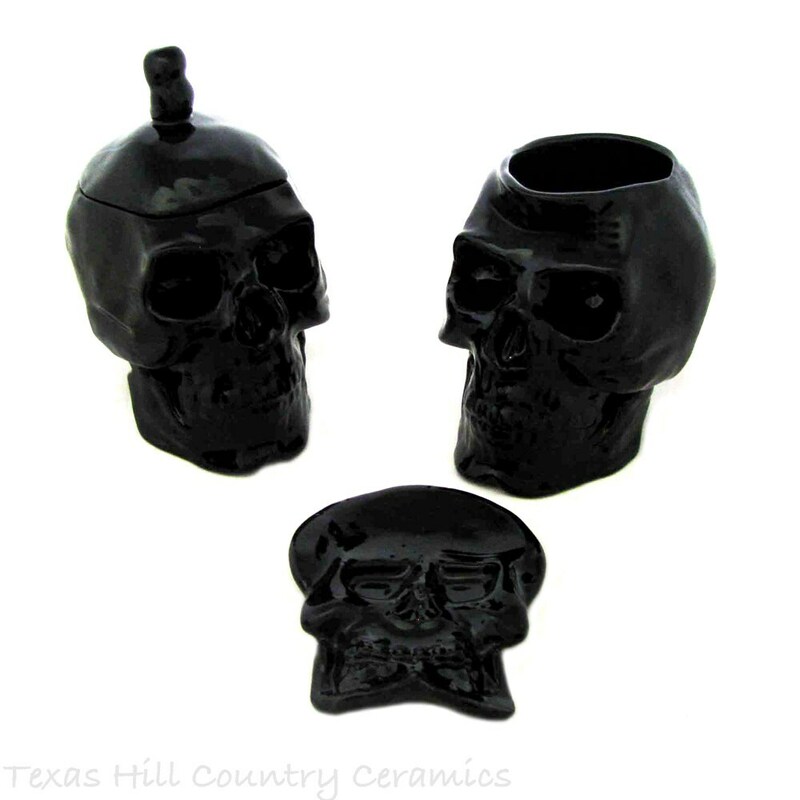 The skulls are finished in a glossy black non-toxic lead free glaze on the inside and outside so they are dishwasher safe and people friendly. This set includes 1 skull sugar bowl, 1 skull cream pitcher and 1 skull tea bag holder/small spoon rest in black plus 1 stainless steel skull pattern teaspoon.